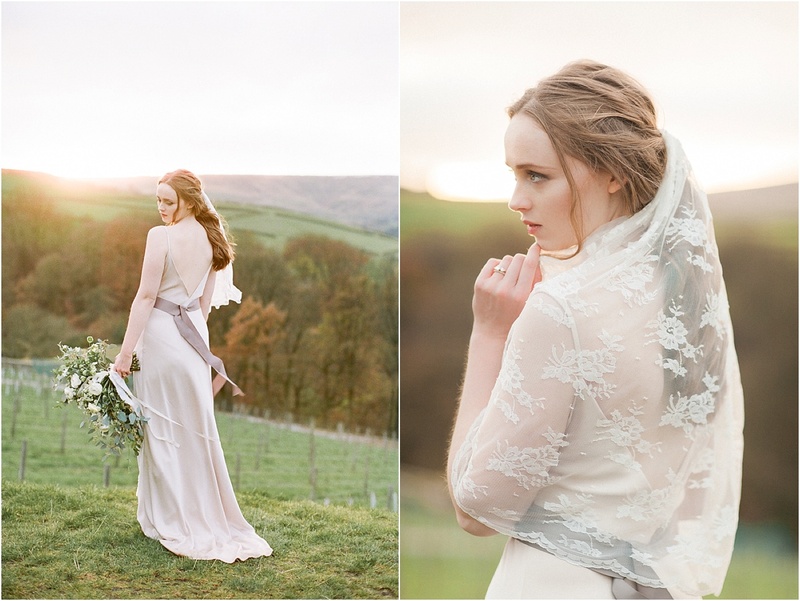 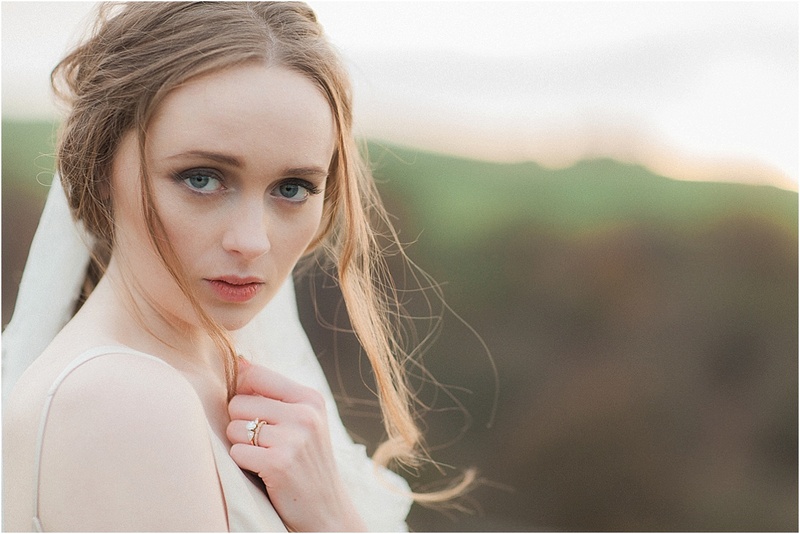 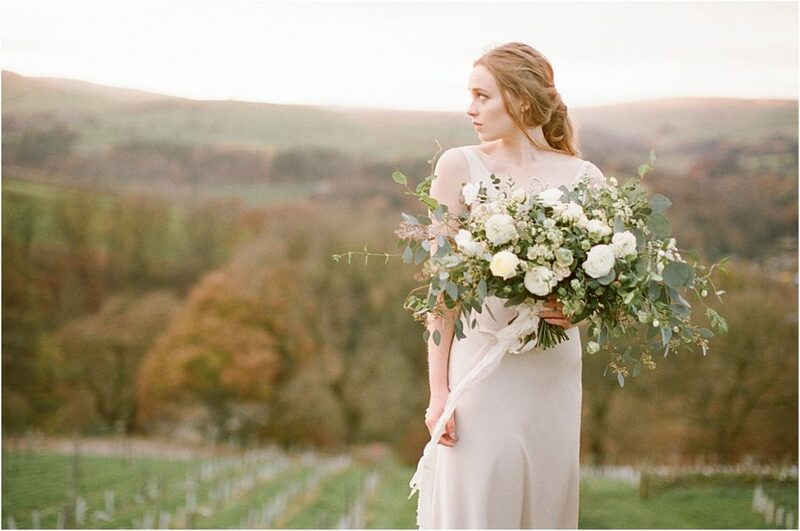 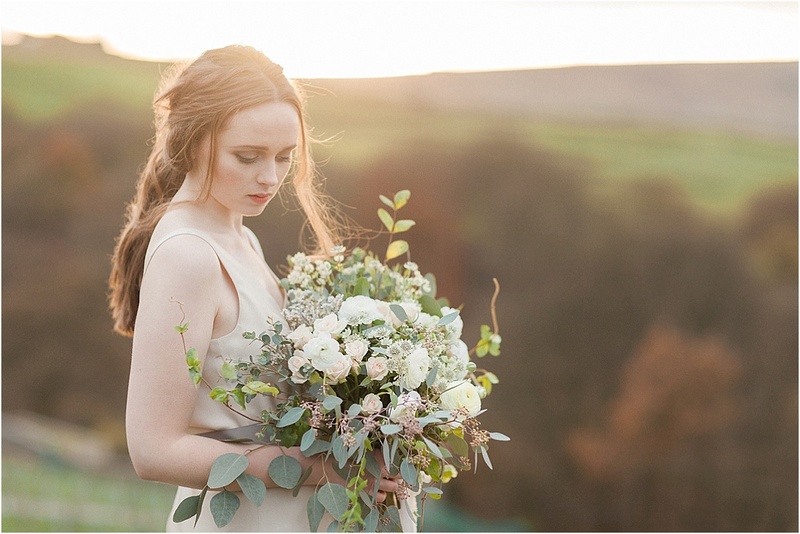 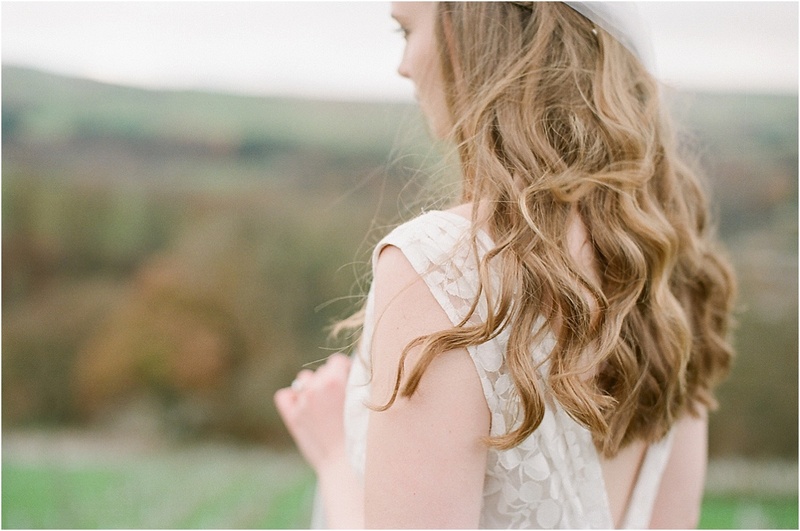 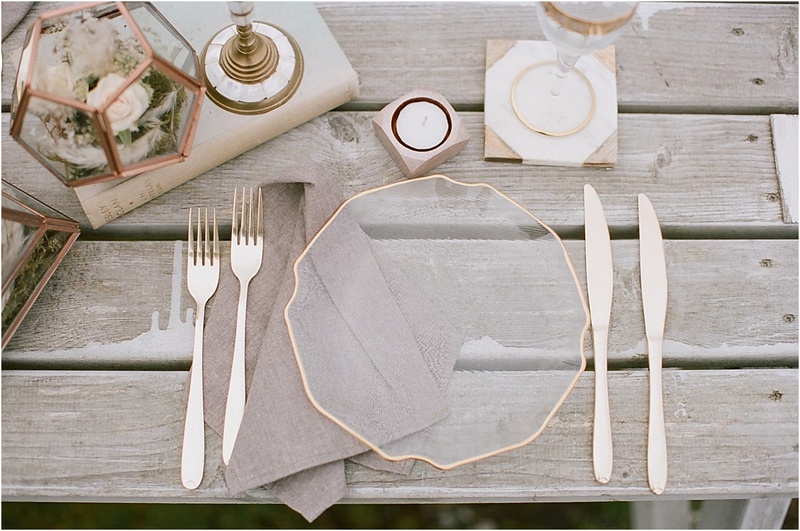 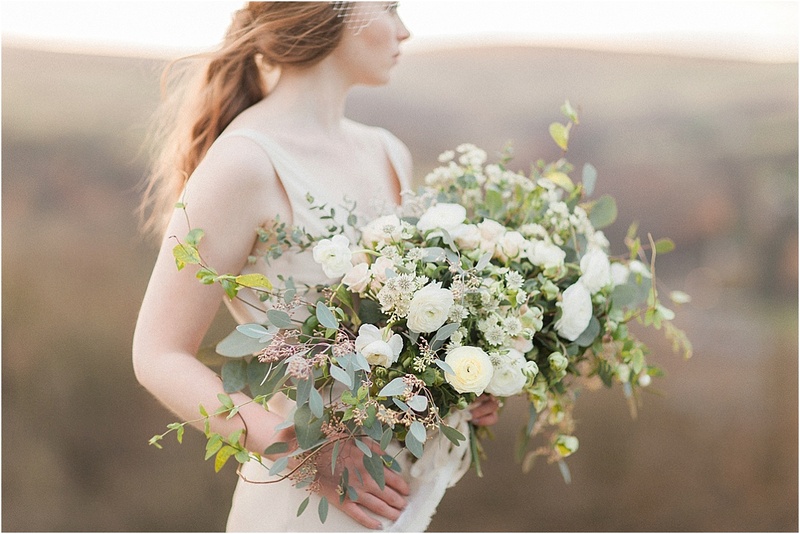 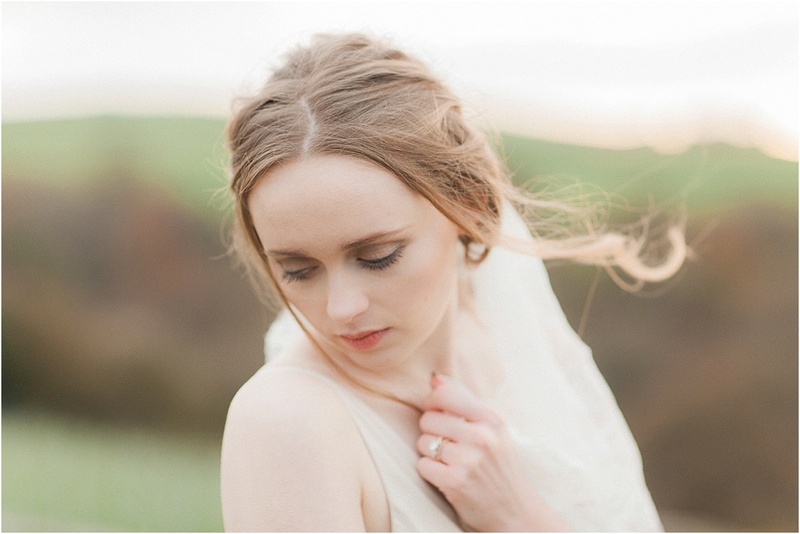 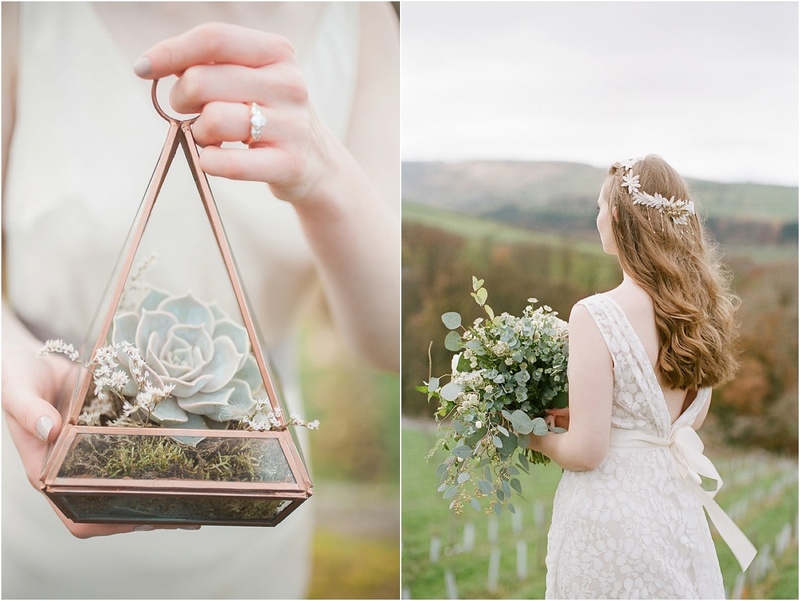 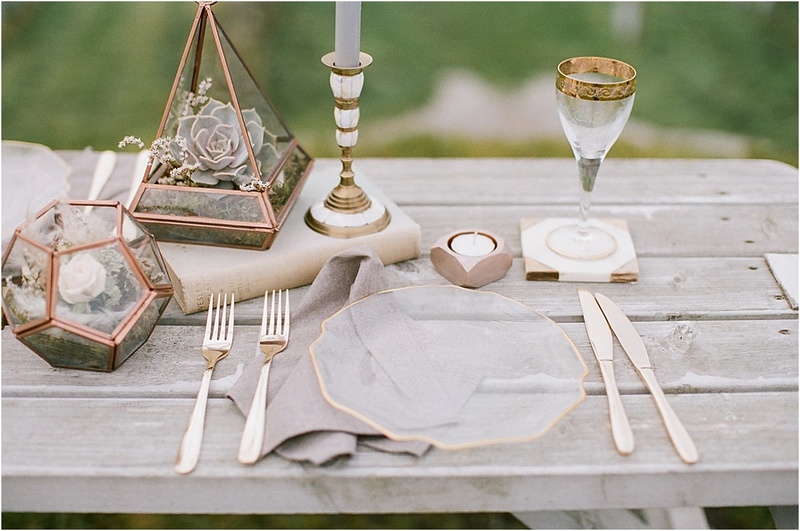 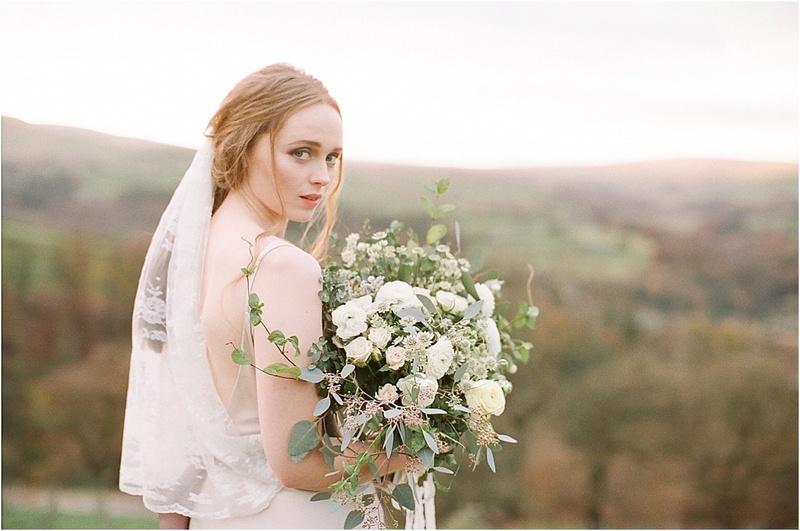 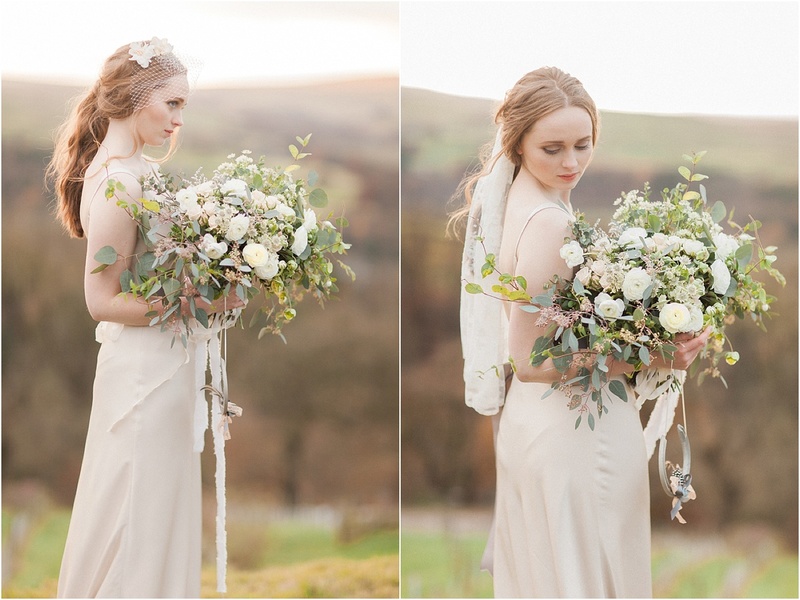 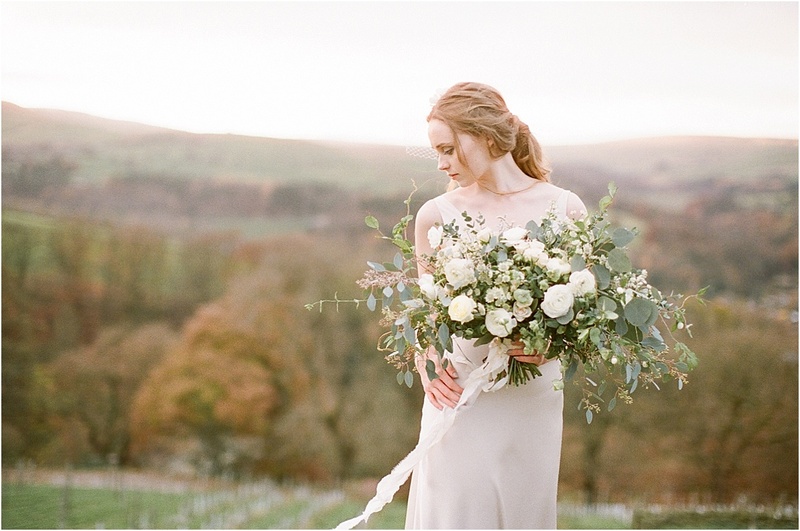 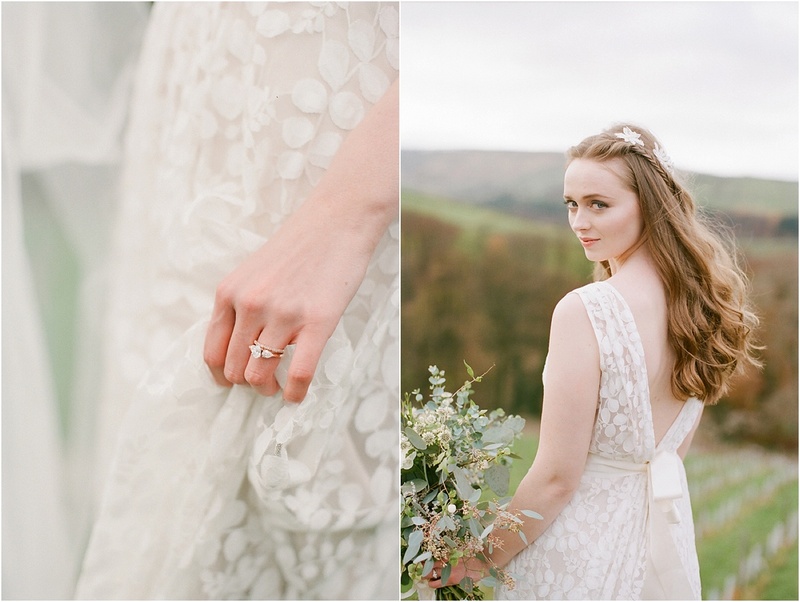 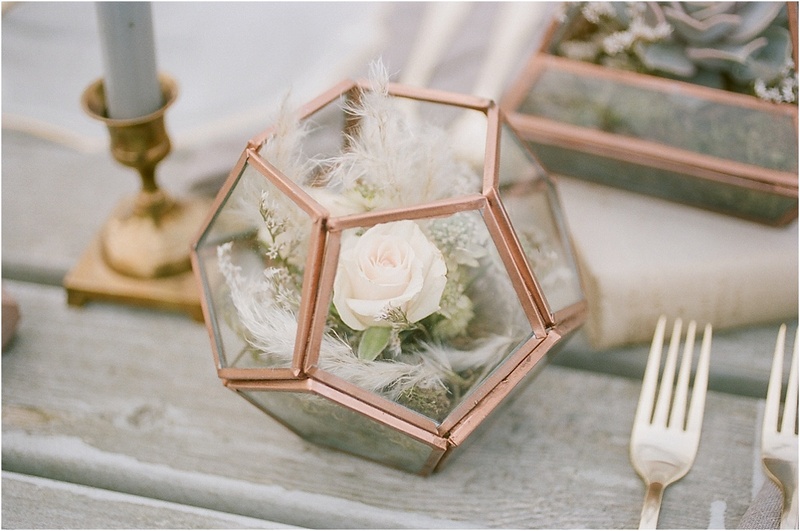 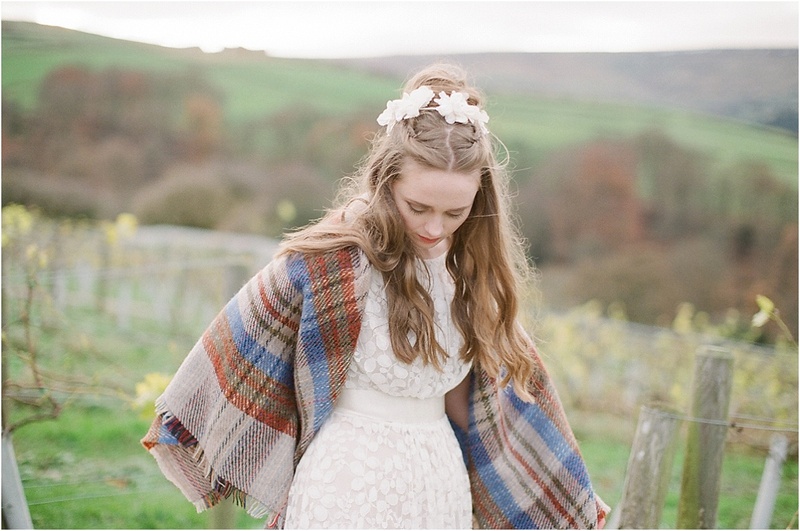 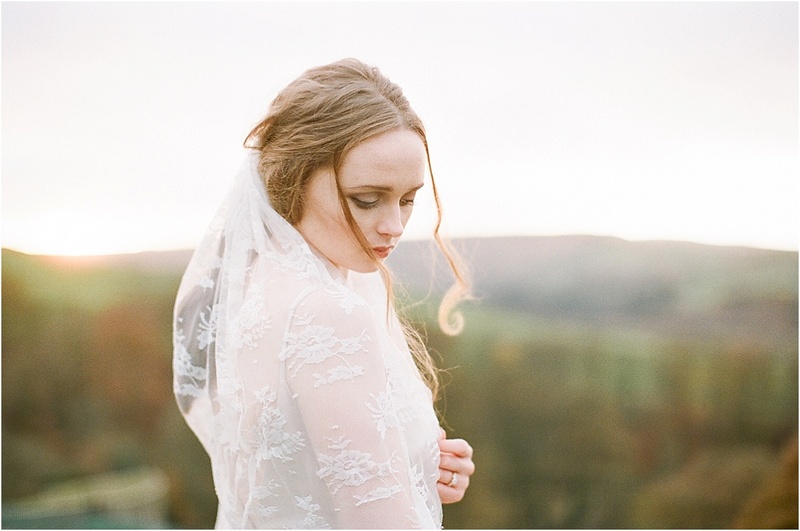 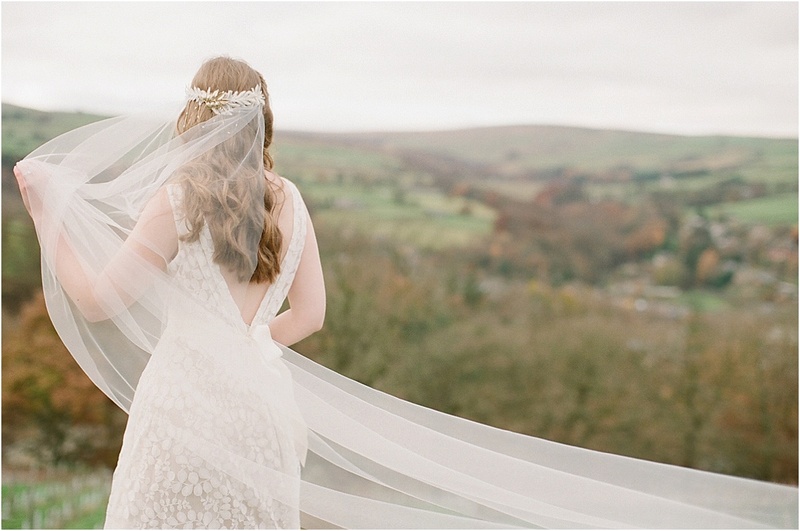 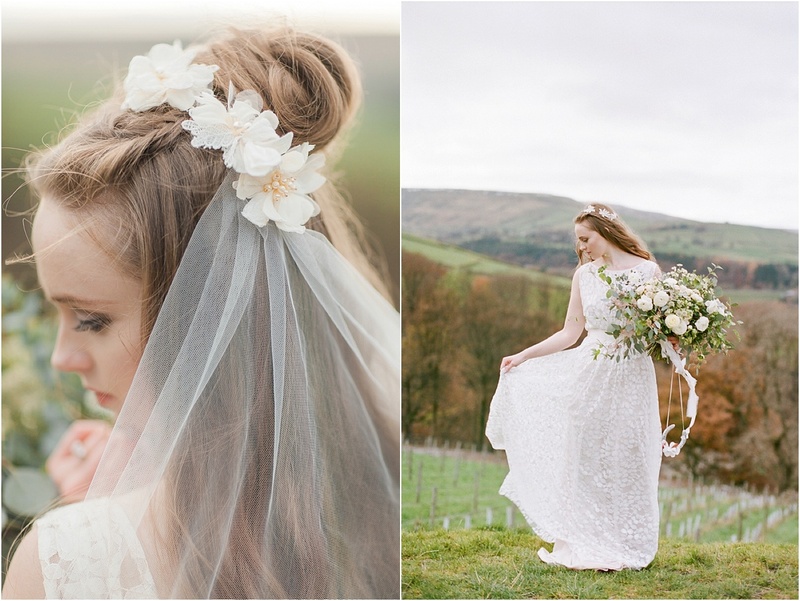 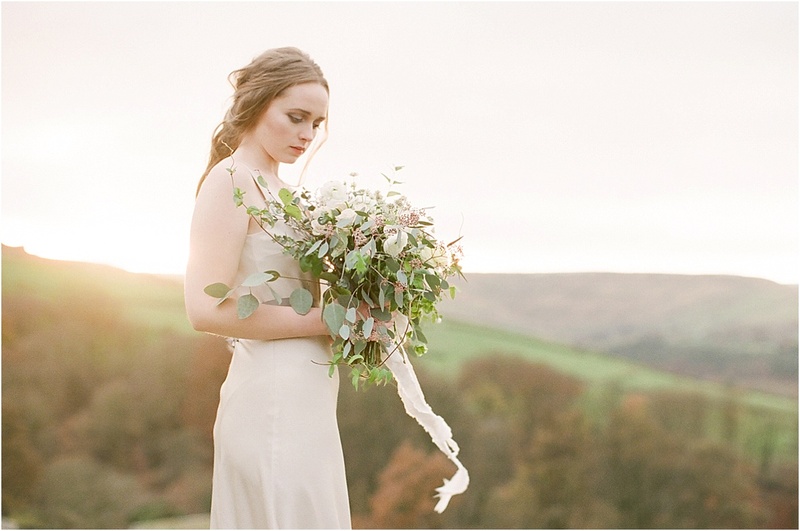 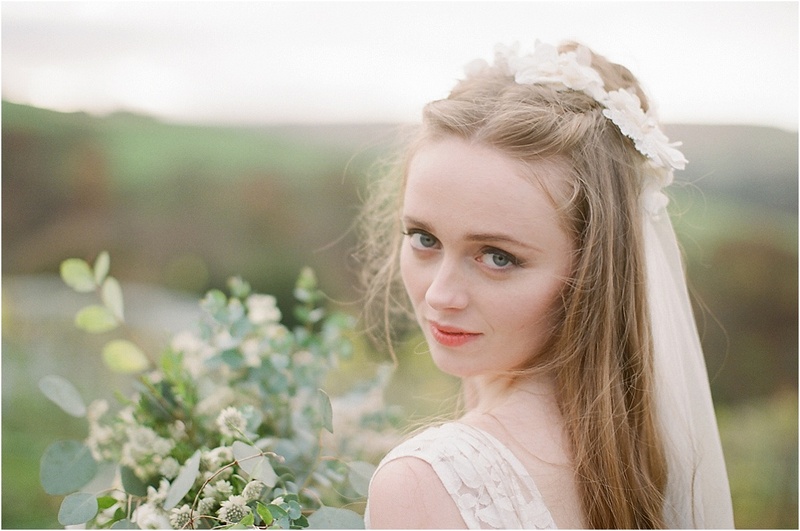 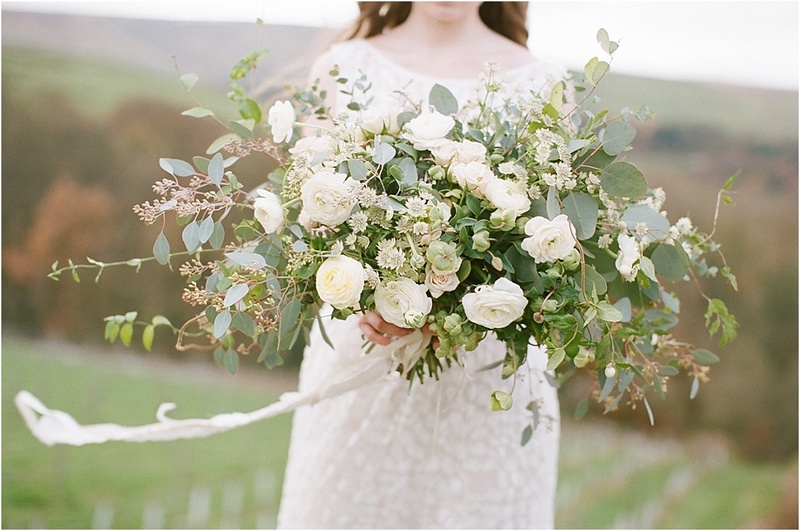 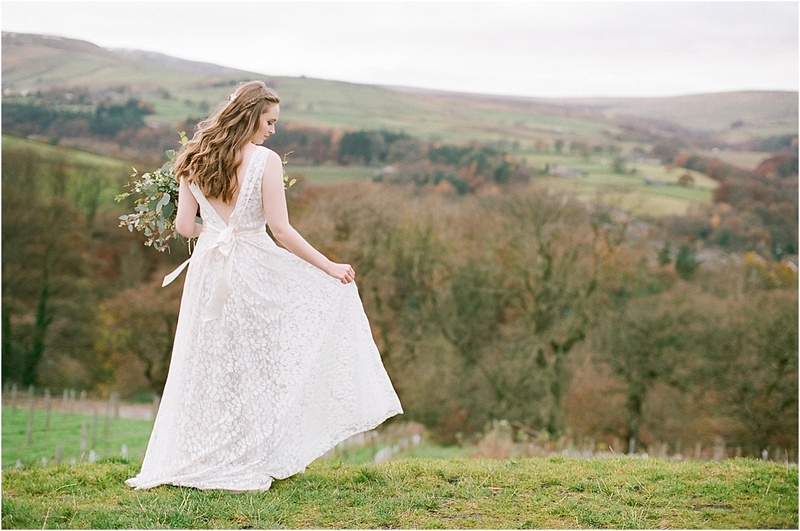 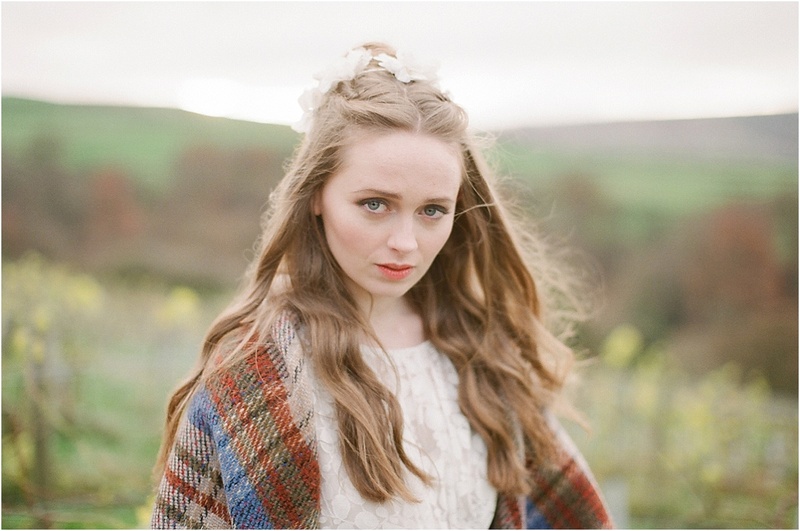 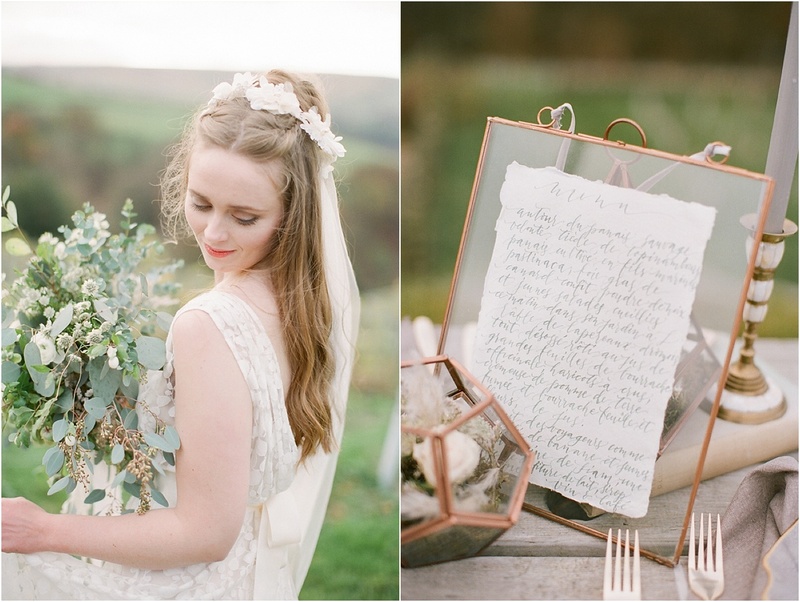 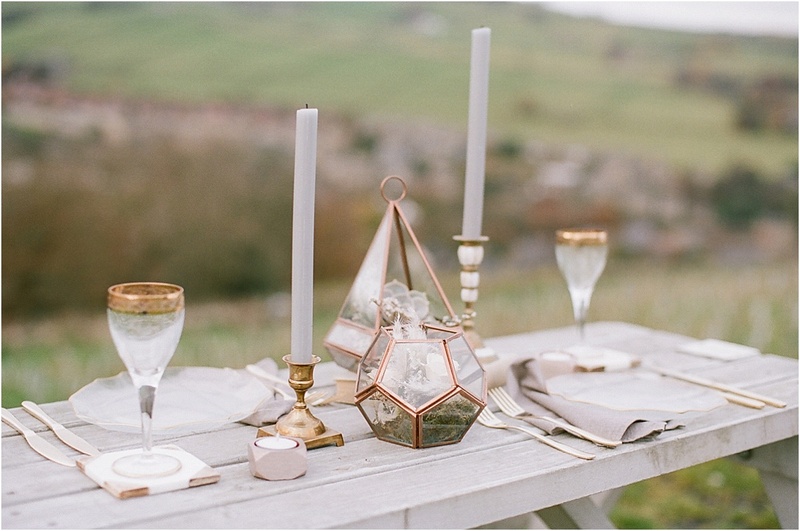 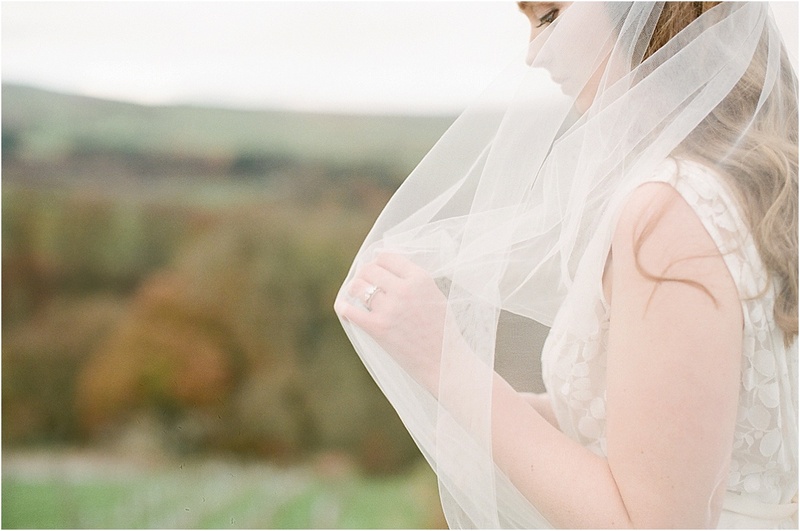 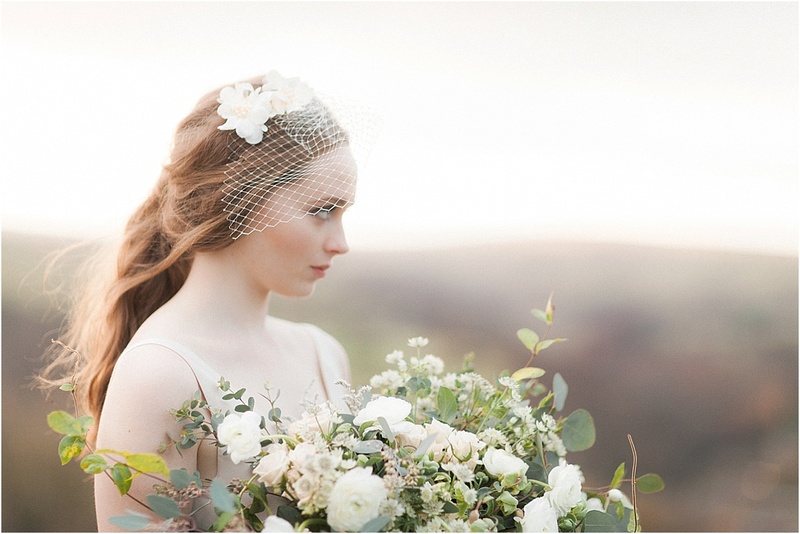 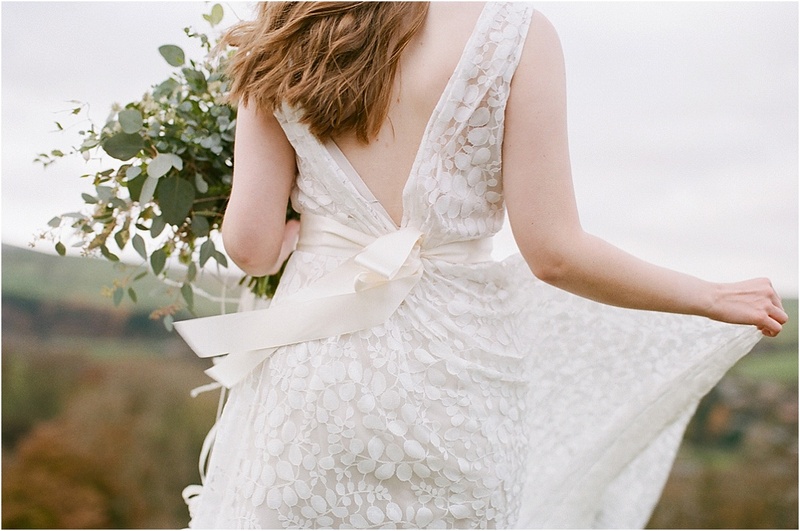 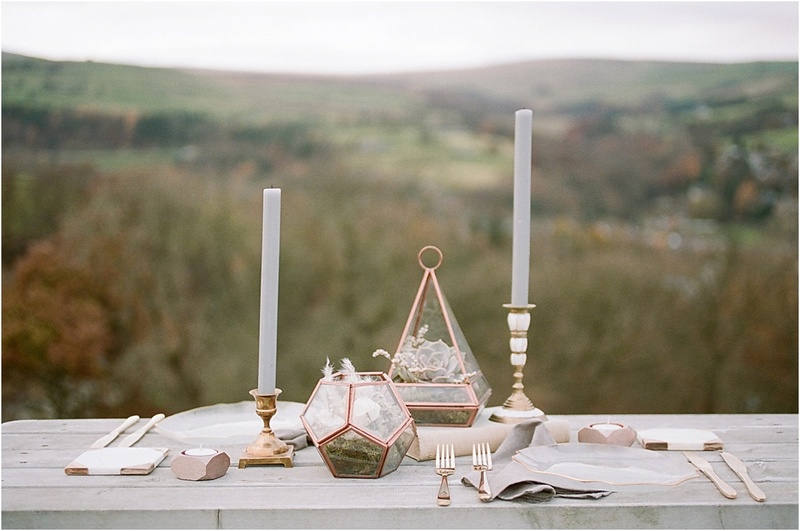 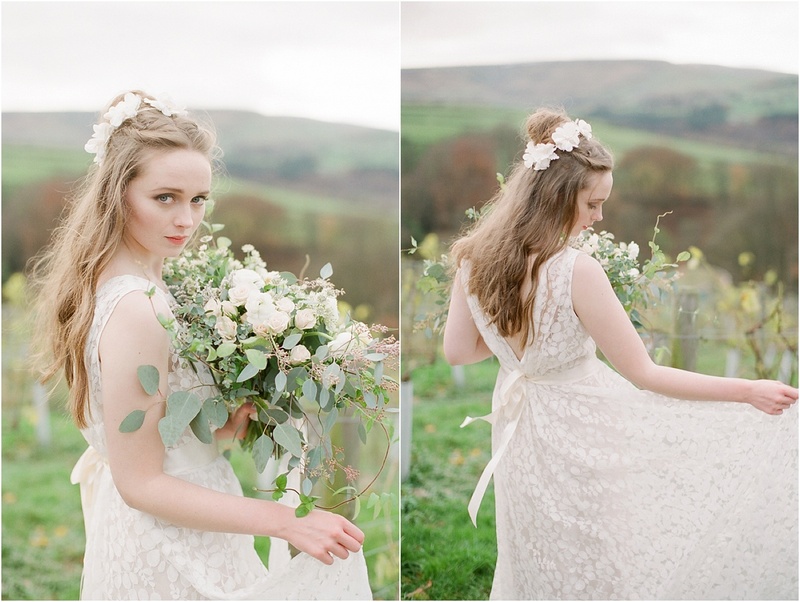 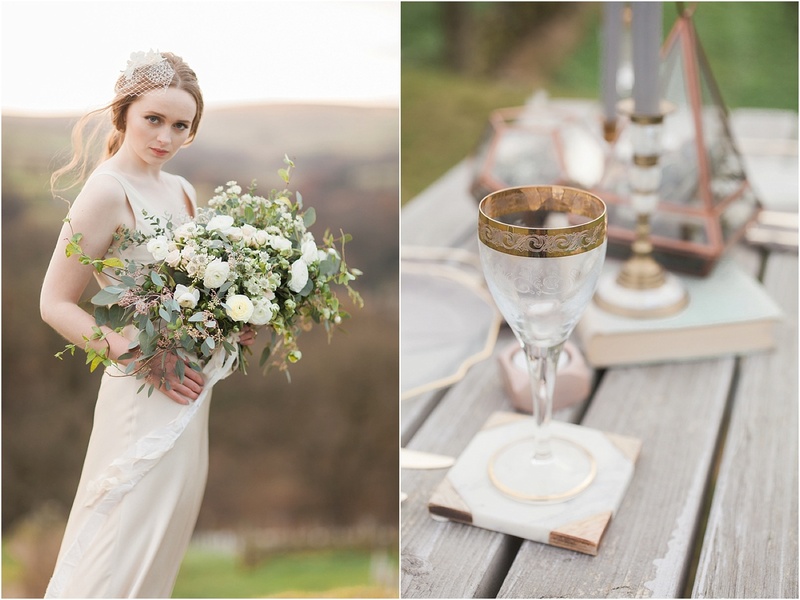 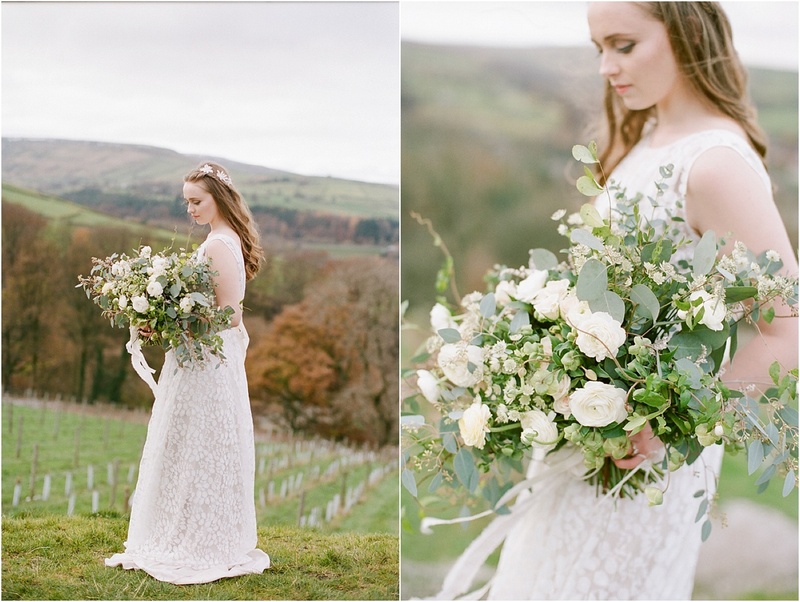 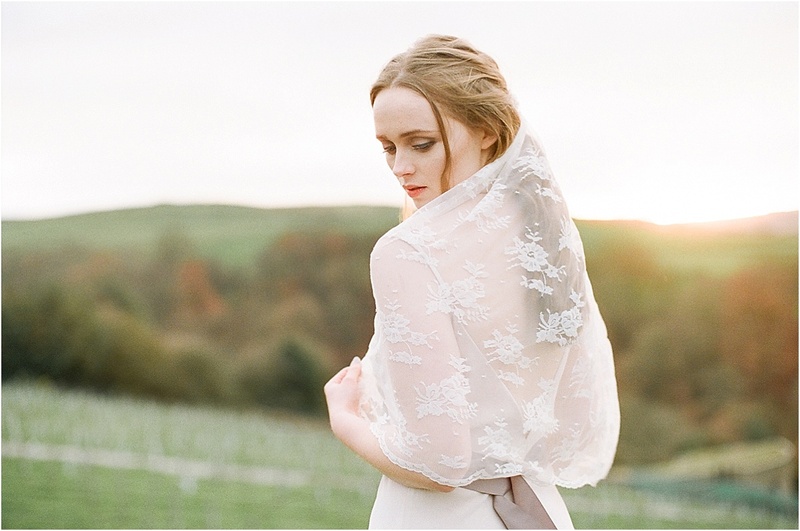 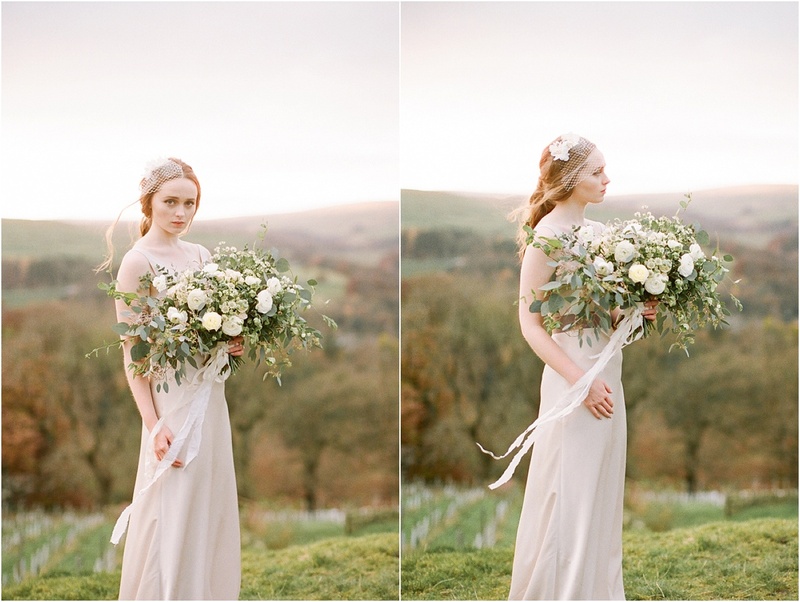 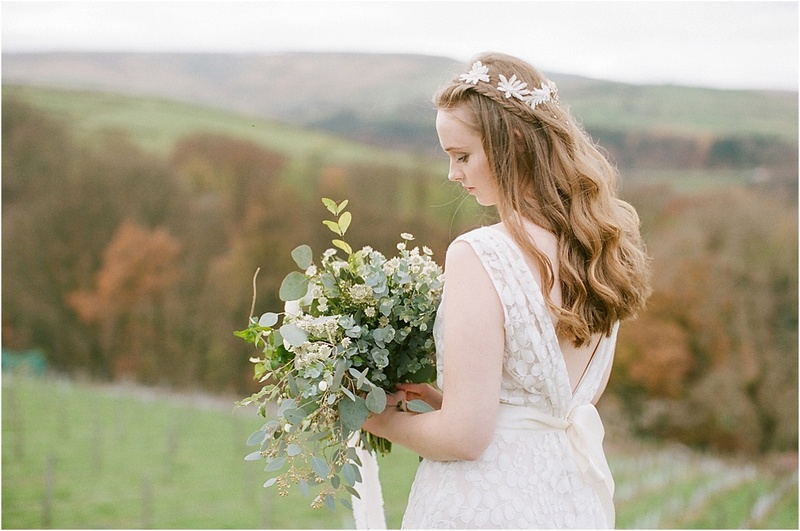 I loved this shoot so much… wild, whimsical autumnal bridal inspiration in a windswept vineyard on the side of a hill in Yorkshire, with a hint of rose-gold and a pared back, modern yet pretty tablescape. 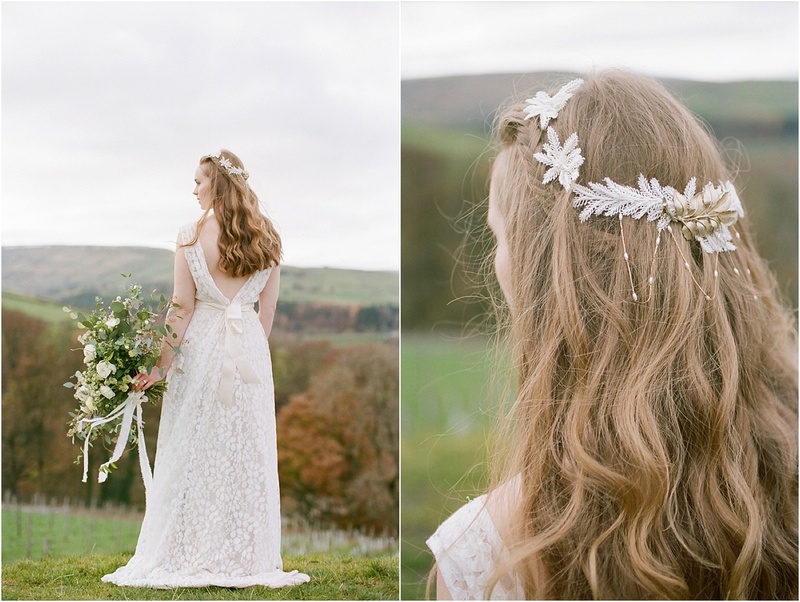 I have worked with the lovely Nicola from Silver Sixpence in her Shoe many times during my time in Manchester, and it is always such a joy to photograph her gorgeous pieces. 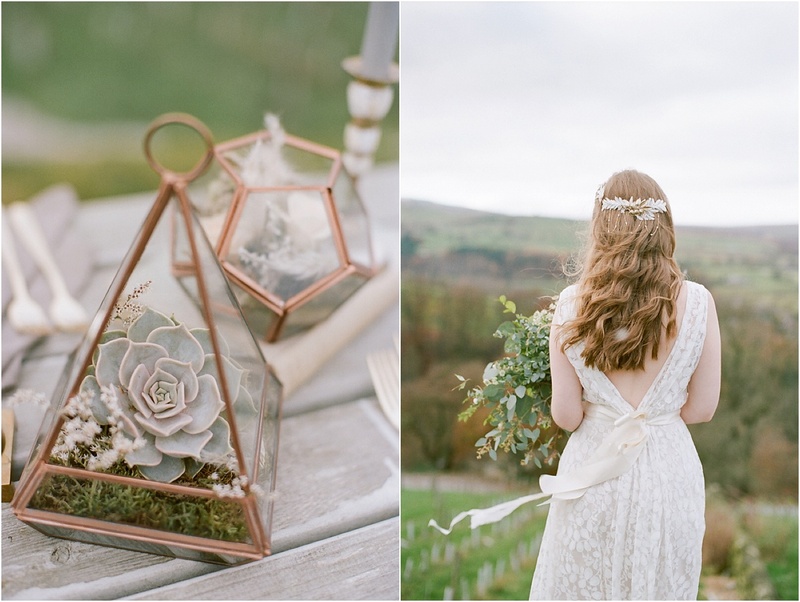 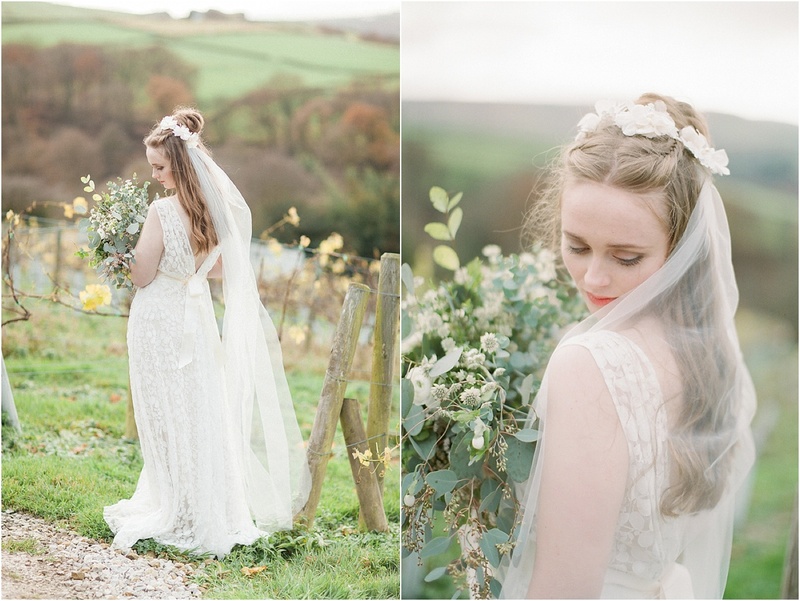 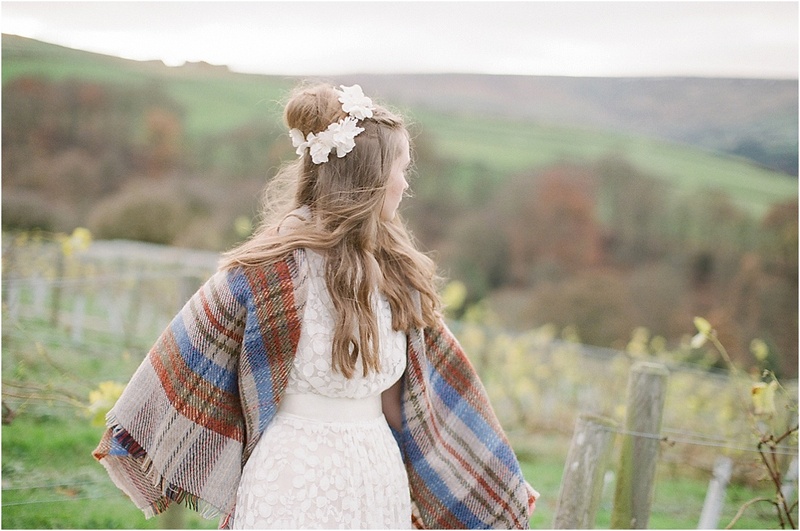 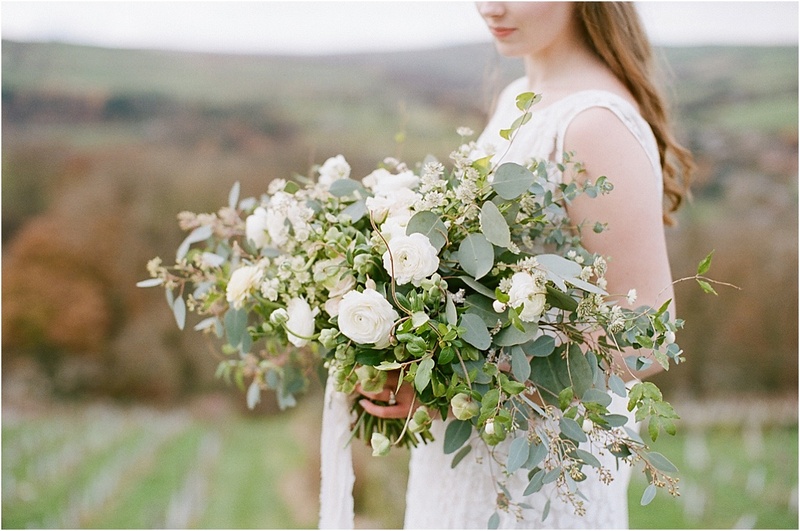 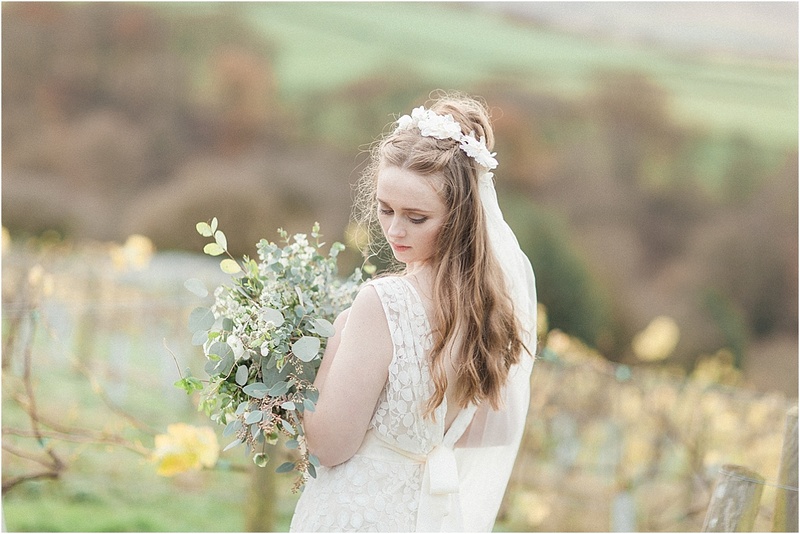 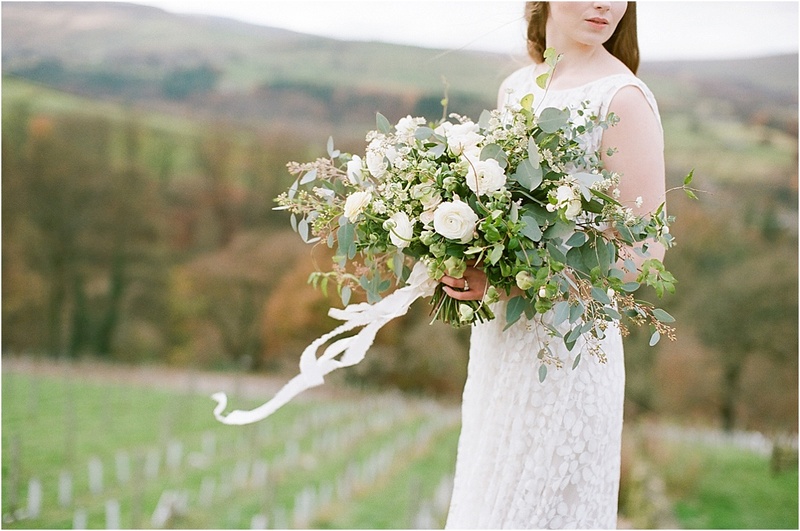 We wanted to do one last styled shoot together before I moved to France, so we put together this more wintery/autumnal shoot at Homfirth vineyard, one of our favourite places to shoot, along with talented florist Jennie from Liberty Lane who also styled the tablescapes. 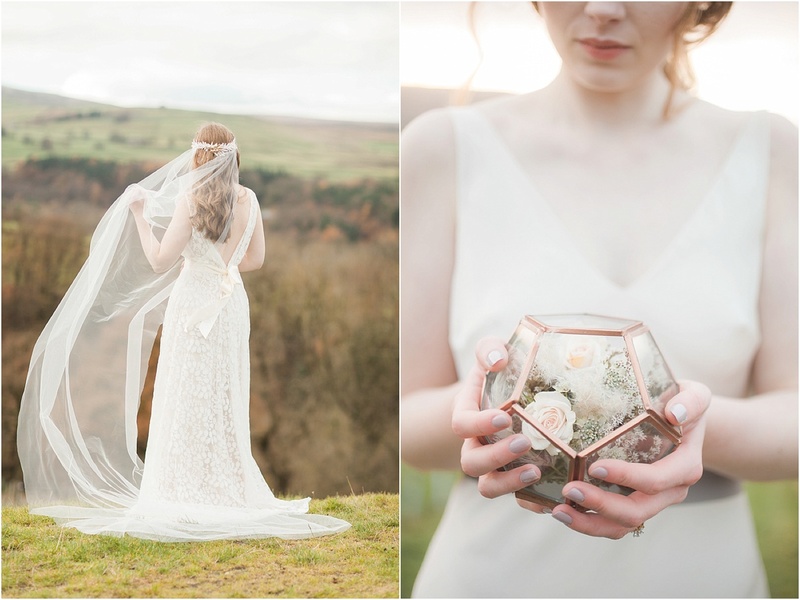 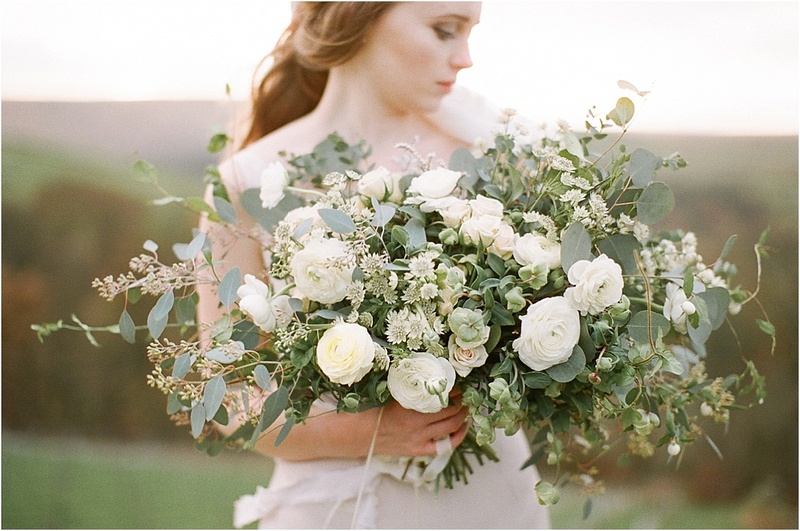 There were two main looks, based around the two stunning bouquets Jennie created, so this is the first; whites, greys and neutrals with rose gold accents. 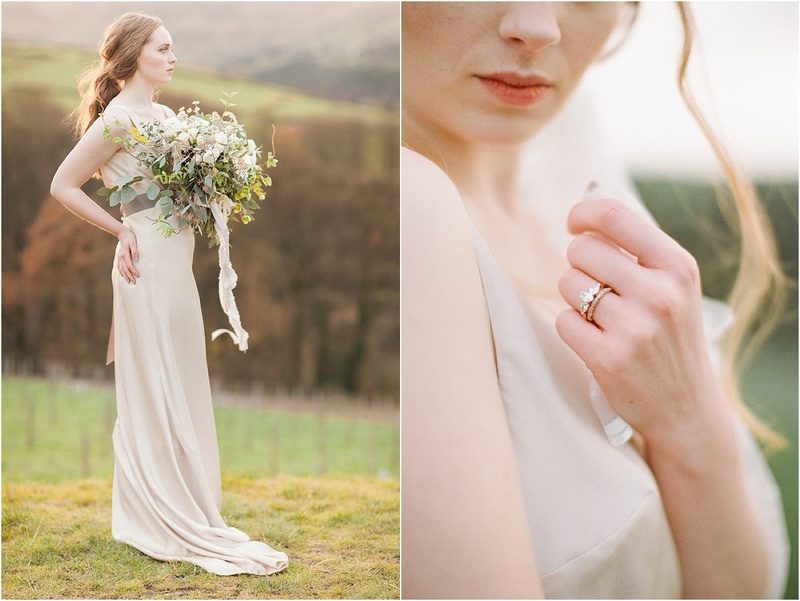 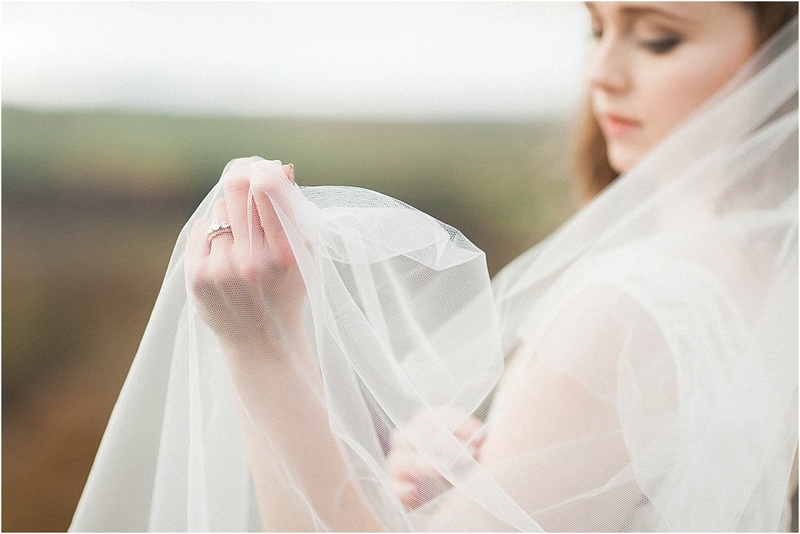 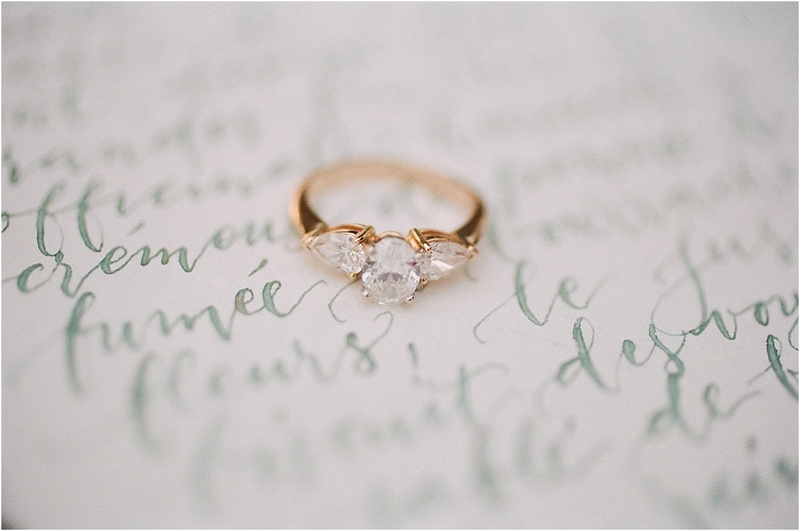 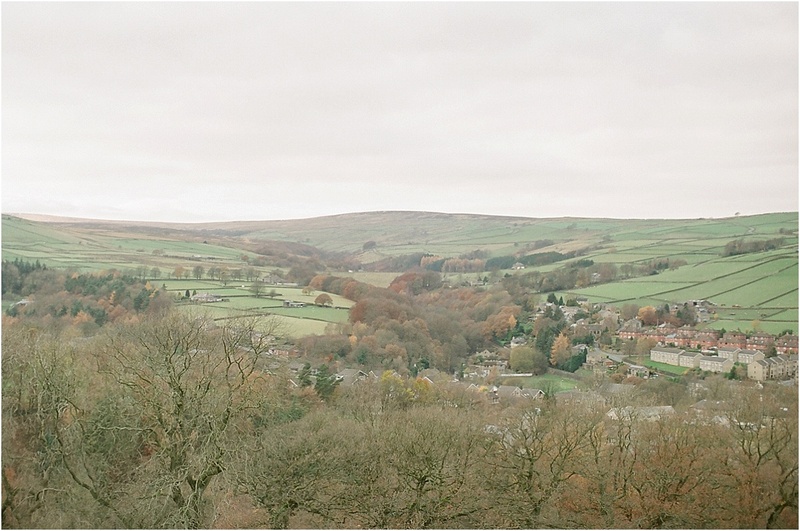 The images were shot predominantly on film, which was perfect for the soft, ethereal quality and muted tones we wanted for the shoot.